Celebrating nine years of wedded bliss is a big deal, and it should be celebrated. The traditional ninth anniversary gift is pottery, and the modern gift is leather. Leather is a versatile option that is long-lasting, luxurious, and rich looking. There are so many things that are made out of leather for both men and women, so you have a wide array of items to choose from. When purchasing clothing for your spouse, check their closet first for correct sizes. 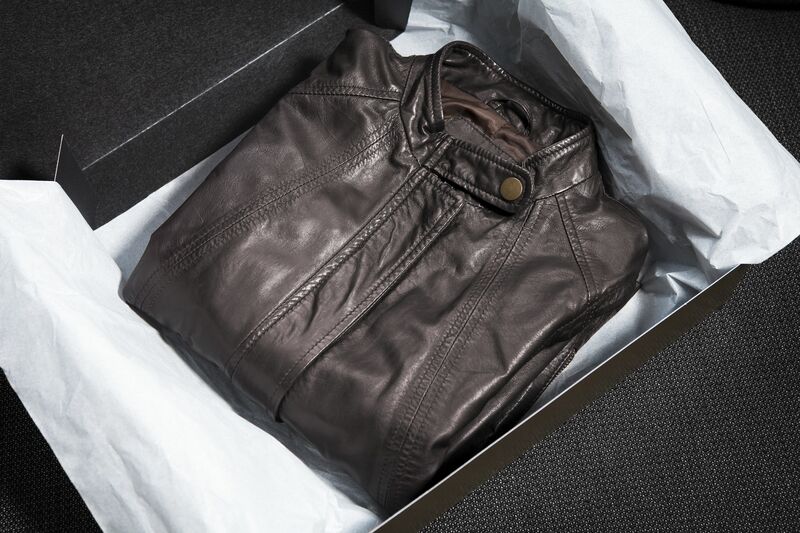 A classic choice is a leather jacket which appeals to most everyone. Keep your spouse's style in mind; leather pants aren't for everyone. Make sure you have the correct size before you buy shoes for your spouse and try to purchase from a retailer with an easy return policy. If possible, take a comfortable old pair of shoes with you to get the right fit or check if your spouse favors a particular brand and look for shoes from that brand. While a leather belt might not be the most romantic gift, it is practical. Make sure your spouse likes or wears belts before purchasing one and check the size of their current belts for a good fit. Does your spouse like to keep his or her desk organized and uncluttered? A leather desk set might be just the right gift if you think adding a stylish element to their workstation would be appreciated. Be very, very careful in selecting a handbag for your wife. Women are picky about the purse they carry. If in doubt, consult a friend or a helpful salesperson for some suggestions. Buy the handbag from a store with a convenient return policy in case your choice is not a success. Wallets are another very personal choice, mainly since they are used nearly every day. It's wise to purchase a new one only if your spouse's old wallet is very worn or they have hinted at needing a new wallet. If your spouse is a person-on-the-go type, then a new briefcase may be appreciated. Knowing how your mate organizes papers and documents will help in selecting the right one to fit their lifestyle and business needs. A leather backpack can be utilized in various ways. Some of those include camping, travel, and for a romantic picnic. This is a vintage item and one that can last for many years and often looks better with age. A leather backpack is a good option for both men and women, as there is a wide variety of styles and colors for sale. Surprise your spouse with some new leather luggage along with airplane tickets to a romantic destination for the two of you. This gift will make memories to last a lifetime, and a piece of good quality leather luggage can last for many, many years. Leather gloves don't need to be for winter weather. Think about your spouse's hobby since leather gloves can include mittens and gloves for driving, baseball/softball, gardening, hockey, batting, golf, boxing, cricket, paddlers, rafters, skiers, work, and snow, along with open fingered, elbow length, and fancy gloves. Get creative and check the size of your spouse's current gloves to get a good fit.